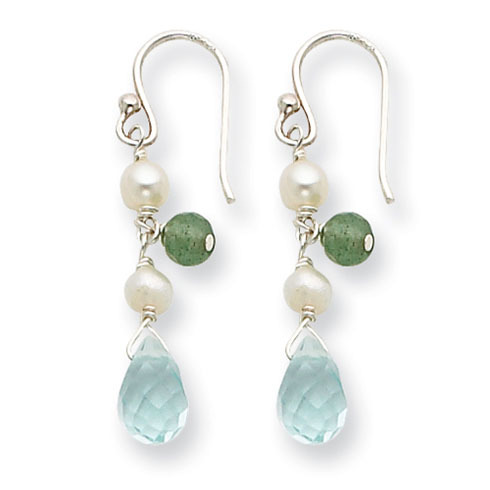 Sterling Silver Blue Crystal/FW Cultured White Pearl/Aventurine Earrings. Weight:0.93 grams. Measures 1 3/8 inch tall.